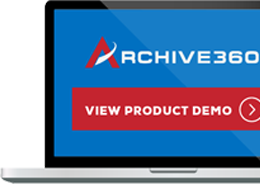 NEW YORK – October 18, 2018 – Archive360®, the world’s leader in intelligent information management solutions, today announced that a regional U.S. based healthcare organization and clinical research facility has chosen its Archive2Azure™ and FastCollect™ for Archives to solve problems in data migration and long-term data management. The major healthcare provider—which has 35,000 employees across 12 sites and has additionally acquired several community hospitals—cares for more than half-million patients annually. Its network of hospitals, physician offices, and urgent care/ambulatory care facilities are recognized nationally and regionally for excellence in medical care. Operating in the heavily regulated healthcare sector, the organization sought a reliable method to better ensure regulatory compliance with HIPAA and HITECH requirements, as well as a way to gain fast (or if needed, immediate) access to critical data. In addition to reducing archive latency, the company needed to address cost concerns, as their budget for infrastructure/IT had spiraled out of control in recent years. What’s more, as part of reducing compliance liability, they wanted to boost their data security. Finally, the healthcare provider also hoped to find a solution that could improve its user interface for a better end-user experience. When the nonprofit healthcare organization needed to upgrade some of its on-premise email archiving systems, it took the opportunity to look beyond immediate and short-term data storage issues, and decided to also evaluate possible solutions for longer-term data management challenges. As their IT and legal teams assessed benefits versus risks of keeping their archives on-premise or moving data to the cloud, they had to address a range of issues that extended beyond data storage. They sought a viable solution that could address all of the needs that they had identified, including providing immutable data records and reducing their overall costs for storage and management of email archive data. There were several challenges that the healthcare organization hoped to solve. First, the company had a significant amount of data to migrate: approximately 300 TBs of EAS archive data—plus other non-related PST files—into their Azure tenancy for ongoing data management. IT also needed to retain direct control of the company’s data while securing it with encryption keys. Additionally, the process for both data migration and ongoing data management had to meet HIPAA compliance requirements. All email journal data, including metadata, needed to remain in its original format with full audit and reporting capabilities to comply with the organization’s legal department. IT decided to move the organization’s active email user data to Office 365, while moving inactive user and journal data in its native format to the company’s own Azure blob storage tenancy. By choosing Archive2Azure, a native Azure application that provides intelligent information onboarding and management, the healthcare organization was able to leverage the full suite of Azure services to solve its enterprise-scale challenges with compliant and intelligent data storage, search, archiving, and disposition. For legally compliant data migration including chain of custody reporting, the organization also used Archive360’s FastCollect for Archives. With this pair of powerful solutions on board, the healthcare firm decided against renewing its EAS support contract. 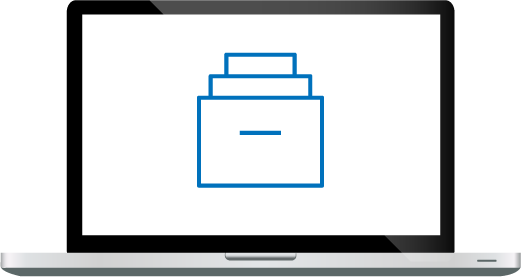 Retiring their on-premise legacy email archive system reduced costs while also avoiding third-party vendor lock in.